Yesterday, I retrieved my mail after having it on hold for summer vacation. Among the bills and junk mail were a variety of things about diabetes. 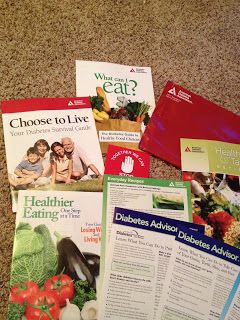 I have the latest issues of Diabetes Forecast, invitations for the upcoming diabetes walk, two bright red envelops with helpful information about managing diabetes from the American Diabetes Association, and I even have 10 free strips for my new iBGStar glucometer. I smiled. I smiled for a couple of reasons. First, Elizabeth Profit’s smile on the cover holding the tennis racket is infectious. Tennis is my favorite sport and I haven’t played since being diagnosed–she gives me hope. Secondly, Ms. Taylor’s level of advocacy and commitment to demanding fair treatment for her daughter is impressive. And, collectively, these two magazines provide me with three new images of black womanhood–a girl, a teenager, and a woman all at various stages of diabetes management. I have often seen black women on the cover of magazines like Essence, Ebony, Jet, etc…but I feel connected to these women in a different way. 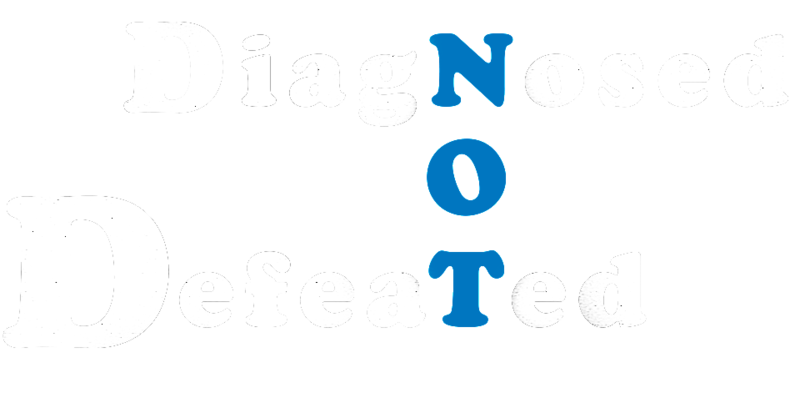 We each, in our own way, are advocates for diabetes health and that makes me smile. 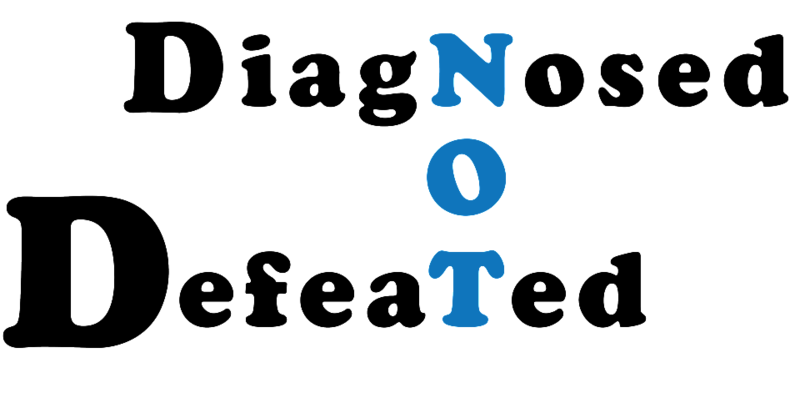 Then I had a flash back to when I was newly diagnosed and I was in the “I’m not going to tell anyone” stage. I realized that I would have missed out on this moment to smile and feel connected to other diabetics (even though I may never meet these women in person). 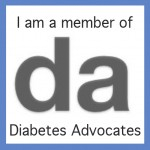 I would not have gotten the wonderful recipes sent by ADA or know about the upcoming Diabetes Walk. Why? 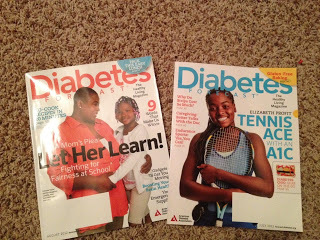 Because I was too afraid that someone might see me reading a diabetic magazine and know that I am diabetic. I thought that someone, even if it was only the postal worker whom I rarely saw, would know that someone at my address is diabetic. I didn’t want diabetic mail coming to my house or be seen reading diabetic magazines. I was simply too afraid. Then the opportunity came. I was in the local grocery store and saw Diabetic Living. Since no one was behind me, I was able to grab a copy, turn it face down on the counter next to my groceries (so no one could see the title if they did walk behind me before the cashier rang it up), and exit with ease. I read the magazine in the comfort of my own home and gained more than I expected. I read about an opportunity to have my picture in Diabetic Living magazine holding up my glucometer. I figured that I would be brave, like the other smiling faces holding their glucometers with pride, and take a picture with my glucometer. It was only suppose to be one brave moment captured and frozen in time (because I was still hiding in bathrooms if I was in public when it was time to give myself an injection of insulin), but it turned out to be one of the first major steps towards breaking the silence I swaddled myself in. I was so overjoyed that I was actually in the magazine that I told EVERYONE I could. I even told a few strangers in the check-out line while waiting. And with telling people about the magazine, it meant that I had to expose myself. And if I could expose myself, then I could surely receive mail at my home. And now, I sit with two months of mail on my coffee table thinking about all the wonderful information at my fingertips. I’m so glad that I moved beyond that phase because within these magazines, newsletter, pamphlets, and brochures is a treasure-trove of information. I doubt there are any strangers who care what magazines I’m reading and if they do, oh well, I am not ashamed (anymore).